3) In that bowl, add half of the caramel and half of the popcorn – stir to coat. 4) Add remaining popcorn & caramel, stir until evenly coated. 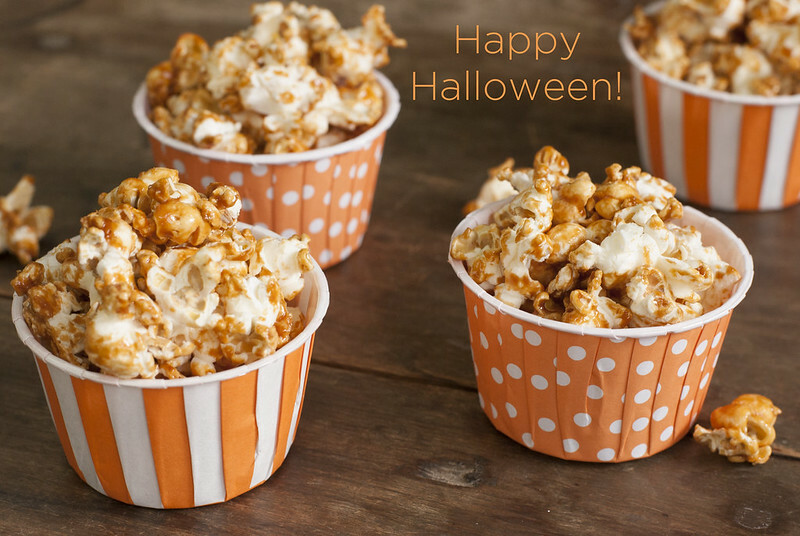 5) Spread caramel-popcorn mixture on baking sheet(12X17)lined with parchment paper, lightly sprinkle with salt (to taste) & break up clumps. 6) Bake popcorn for 50 min, stirring twice. Remove sheet from oven, allow popcorn to cool. Enjoy! Fat Toad Farm Fall Favorites!